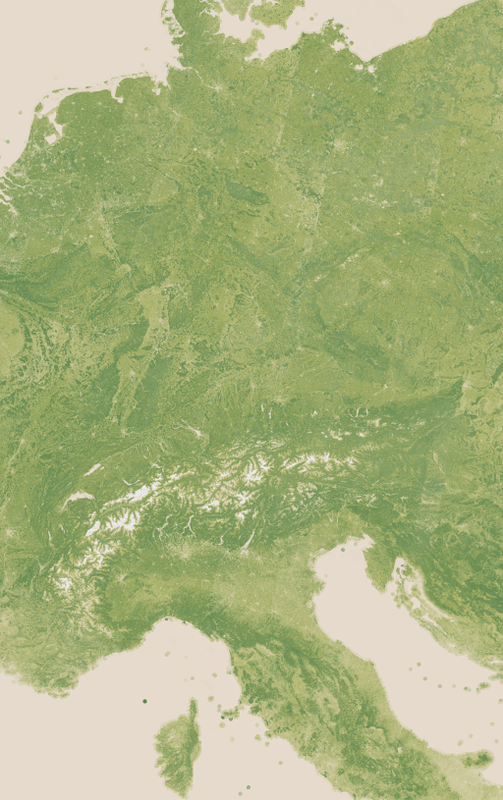 The Vegetation map of Germany and the Alps is generated as a byproduct of the production of the Landsat mosaic of Germany and the Alps. It covers the same area including all of Germany, Switzerland and Austria as well as adjacent countries including Slovenia and Luxembourg, most of the Netherlands and the Czech Republic and parts of Poland, France, Italy, Croatia and Denmark, extended somewhat further to the south including larger parts of Italy and Corsica. This vegetation map like the Green Marble vegetation map shows the amount of vegetation cover, differentiated into woody and herbaceous plants. 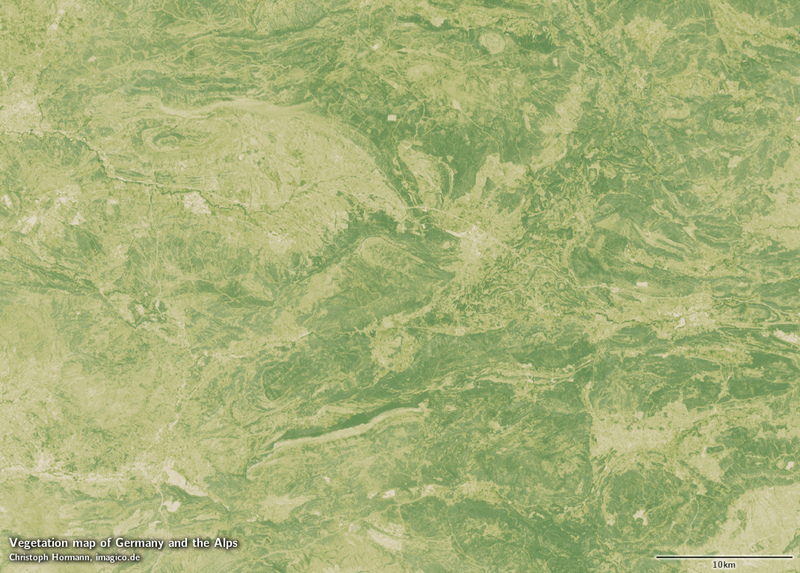 It is produced at 30m resolution from the same Landsat images the visual color mosaic is made from. 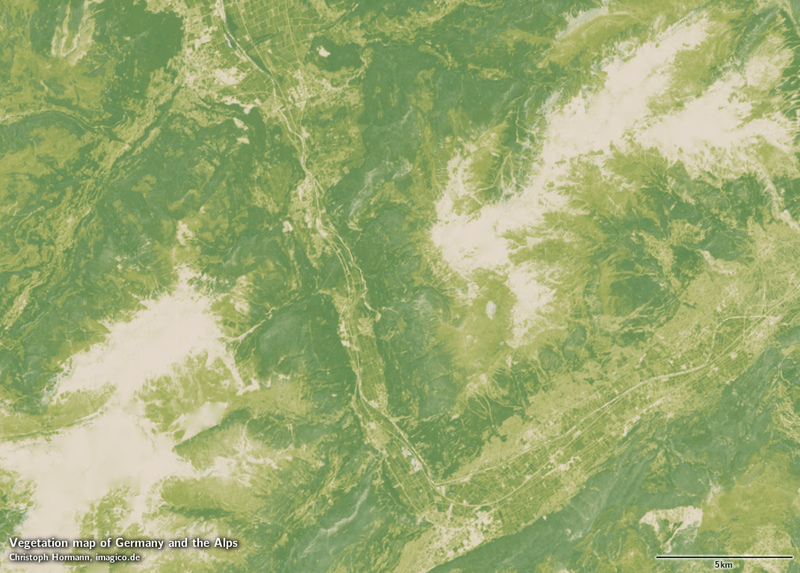 Its primary purpose is for visualizing vegetation in maps - a few samples can be found in the gallery below. 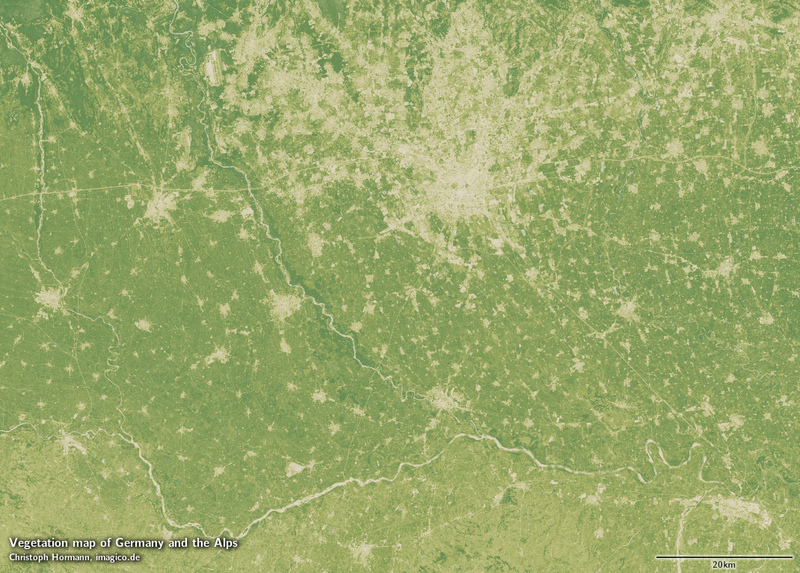 Source data is primarily Landsat 8 imagery from 2013 and 2014 with a few areas where this has been supplemented by Landsat 7 imagery from 2011-2014. 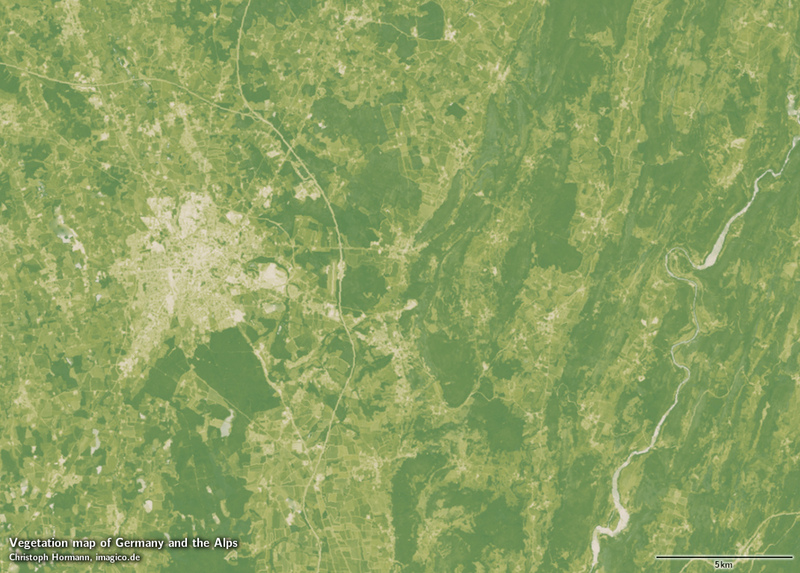 Less than 1 percent of the image is based on older Landsat 5/7 images. Water areas are filled with nearby values from land so the data is well suited for rendering with generalized waterbody data. Assembled in UTM zone 32, can be made available in other projections as color rendering or with raw values. If you are interested in using this Landsat vegetation map use the form below to describe your needs and i will get back to you.